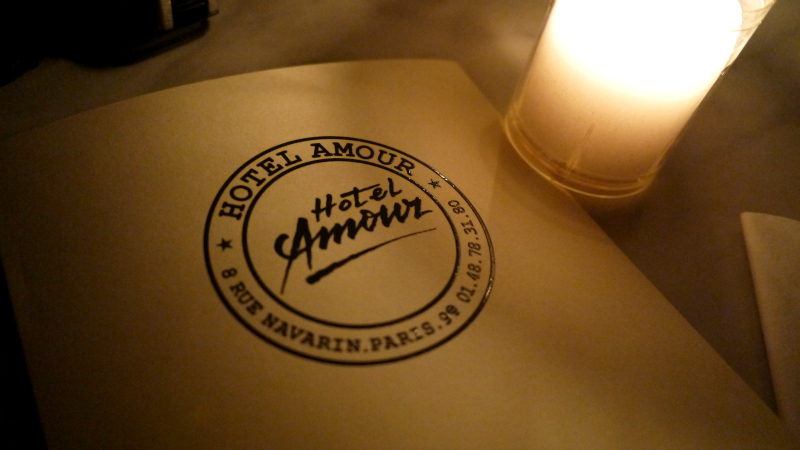 Hotel Amour is one of the trendiest restaurants in Paris. 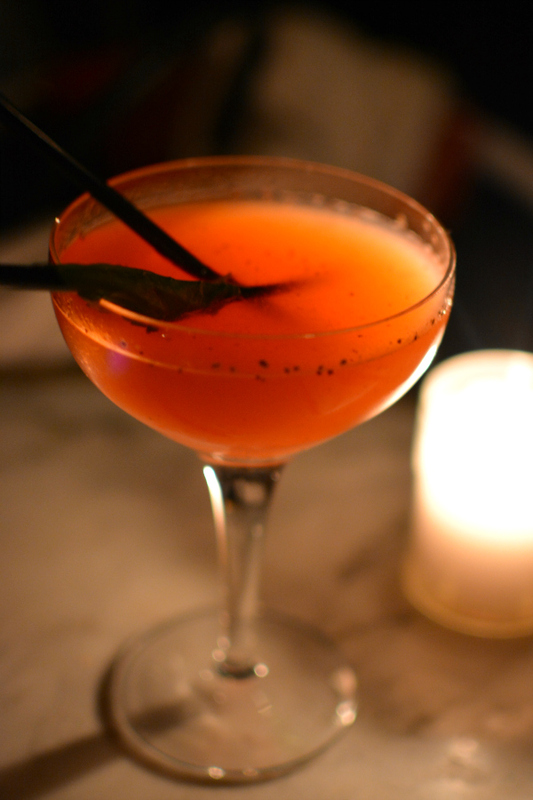 Known in the fashion circles as the place to see and be seen, I knew this bohemian 'local find' would be perfect for a girlie dinner. We booked a table for around 8pm, and after a day of sightseeing Alex wasn't feeling very well, so she stayed at the hotel and got some sleep while we got changed and headed over to Pigalle. 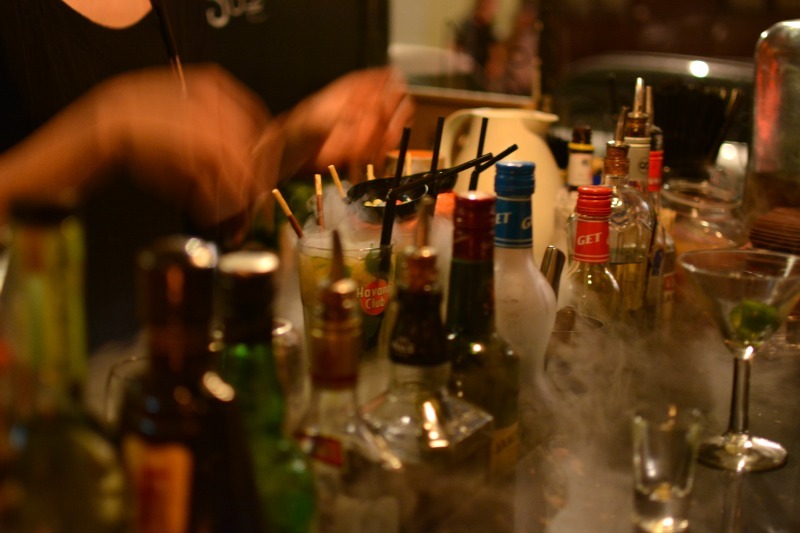 We'd heard mixed things about the food, and many claimed it was purely somewhere you go to for the atmosphere and cocktails, but actually, we were really impressed! Even Bella who is a massive French food snob was suitably happy. 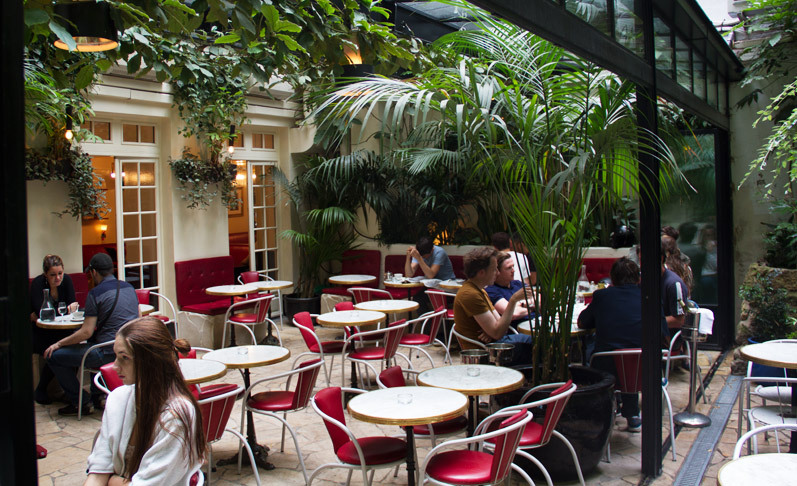 The hotel is easy to find on a little Montmartre street (Rue Navarin), and is adorned outside with greenery and plants. We walked inside to be welcomed by a full restaurant of people laughing and chatting. The waitress led us outside to our table in the courtyard/conservatory out the back. It was beautiful, and very 'fashun'. There was greenery everywhere, it felt very lush and like a little oasis in the middle of the city. The lighting at Hotel Amour was a nightmare for photos, so here's a 'pro' one below so you can see it properly. Just imagine it in the dark with little candles everywhere (ie; like my photos below)! We perused the menu and decided to skip starters and have mains and desserts. I wanted a huge piece of steak, and I knew that I wouldn't be able to have dessert if I had a starter as well. While we waited for our mains I sipped on my delicious fruity cocktail (the others had wine) and we all munched on the freshly baked bread and beautifully salted butter. You really can't beat French bread and butter. We all chatted about our day and continued the conversation from the previous night about men, careers, and everything inbetween. Let me tell you, I don't think there's anything that can make you feel like a sophisticated young twenty-something, like sitting in a trendy bohemian Parisian restaurant with your girl-friends discussing these important things. 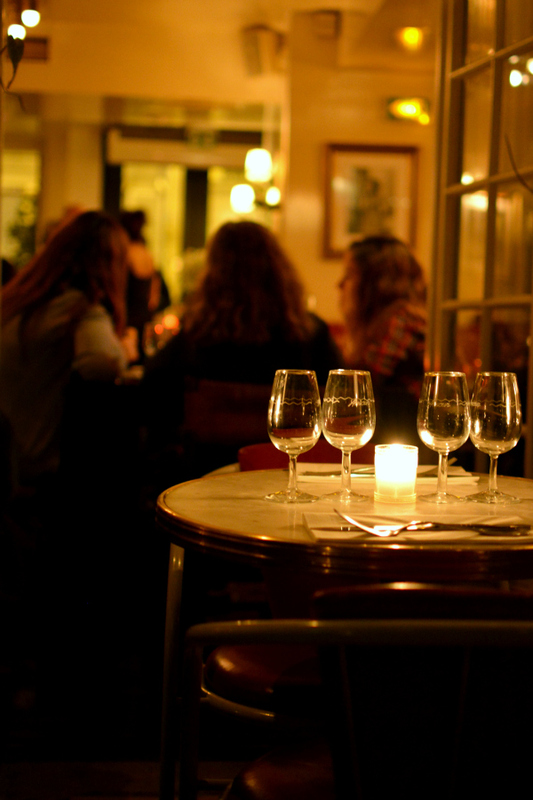 The restaurant was full of groups of friends just like us, with only one or two couples dotted around, which made a nice change to the usual romantic white-table-clothed restaurants in Paris full of couples making you feel like you don't belong. Our food arrived and we all tucked in - but not before I'd taken photos. Bella is used to this now, but Catherine #2 is still getting used to it. She almost, almost, started eating before I'd taken a photo. 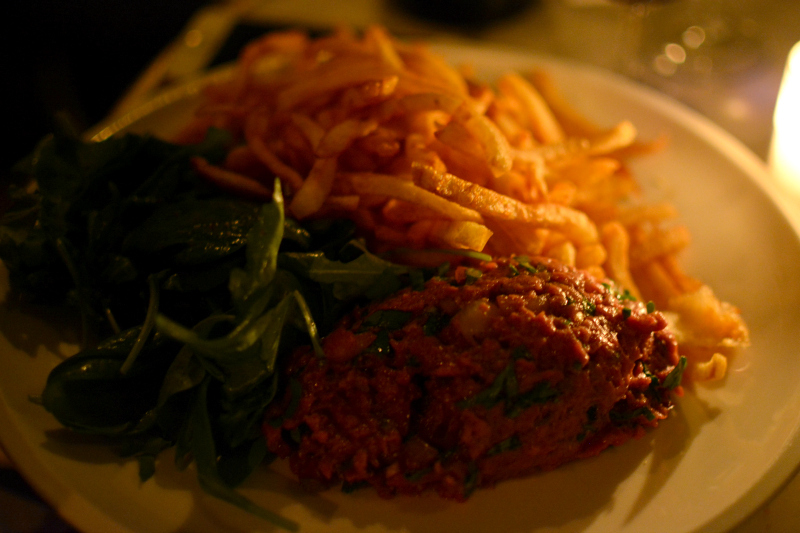 Catherine #2 had the steak tartare with french fries, which she absolutely loved! 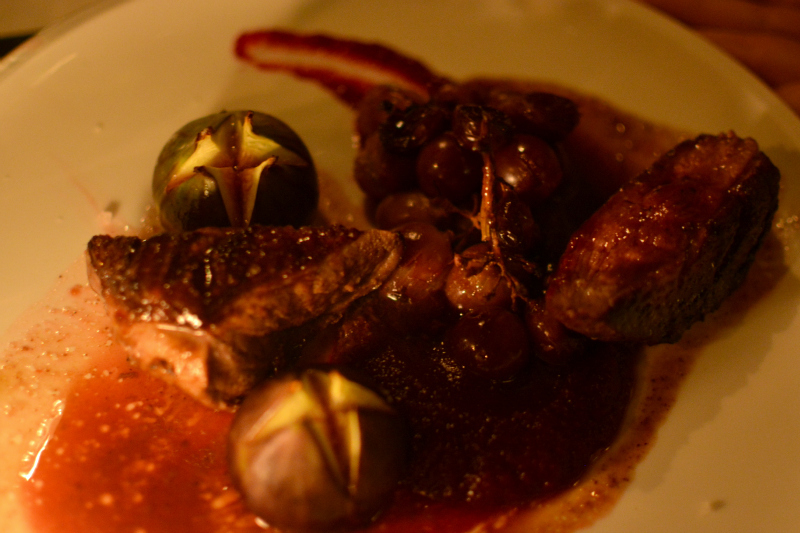 Bella had the duck with figs and grapes, which she wouldn't stop raving about. 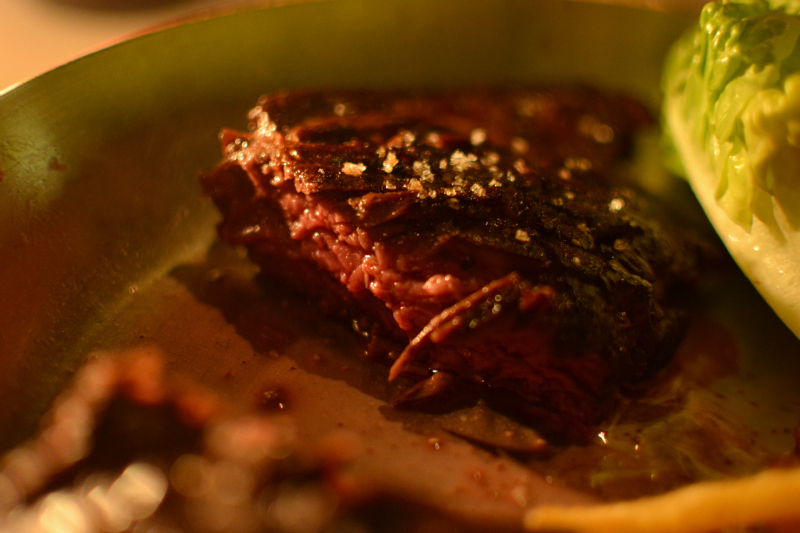 And I had a rare steak, which was literal perfection. I took a bite, looked at the girls, and just went 'oh, my, god'. It was drool-worthy. 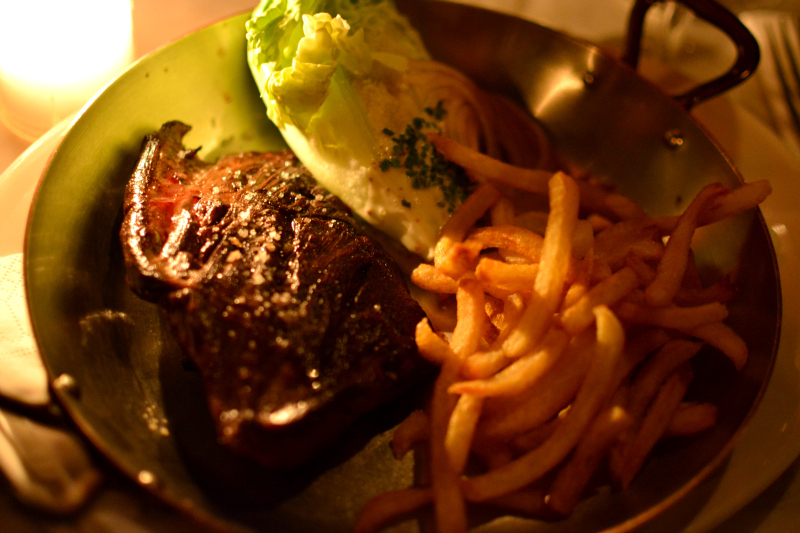 It may have even been better than the steak I had at La Gare back in August! The fries were also incredible, lovely and salty and your stereotypical french fries. The only thing I would have liked, is a choice of sauces. Despite not getting a sauce with the steak, it still tasted delicious without it. After taking our time over our mains, we finally finished and chose dessert. All of our desserts were scrumptious and the perfect end to our girlie dinner. I can't for the life of me remember what Catherine #2 chose, but it was some sort of deconstructed cheesecake! It was presented in a very cute little cheese box, and from the rare silence coming from her, I'm guessing she enjoyed it! 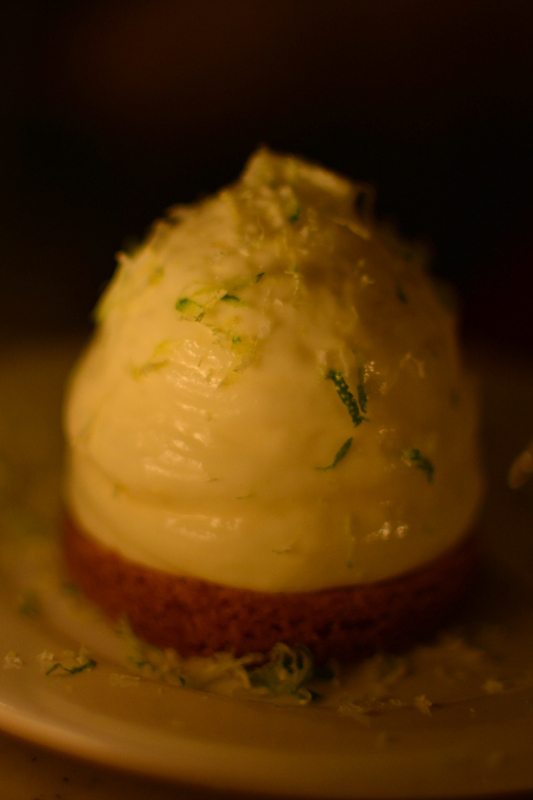 Bella opted for the citron tart, which looked rather impressive! 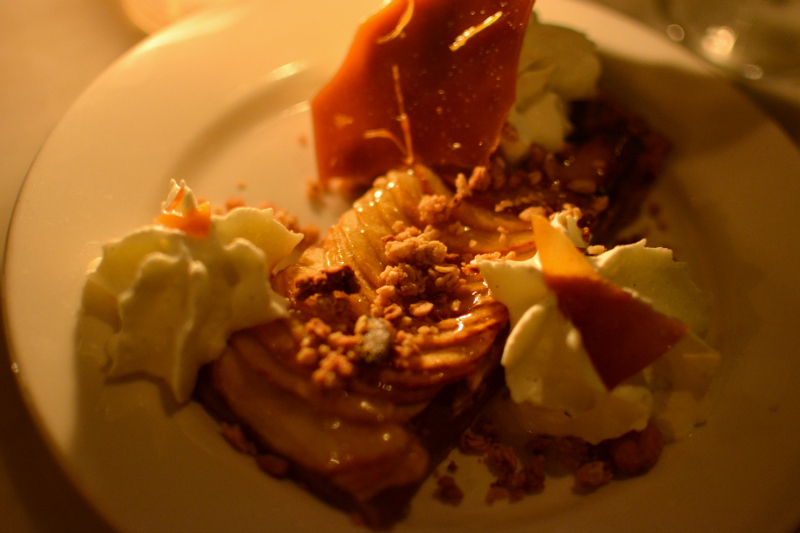 I went for the apple and caramel tart with crushed nuts. 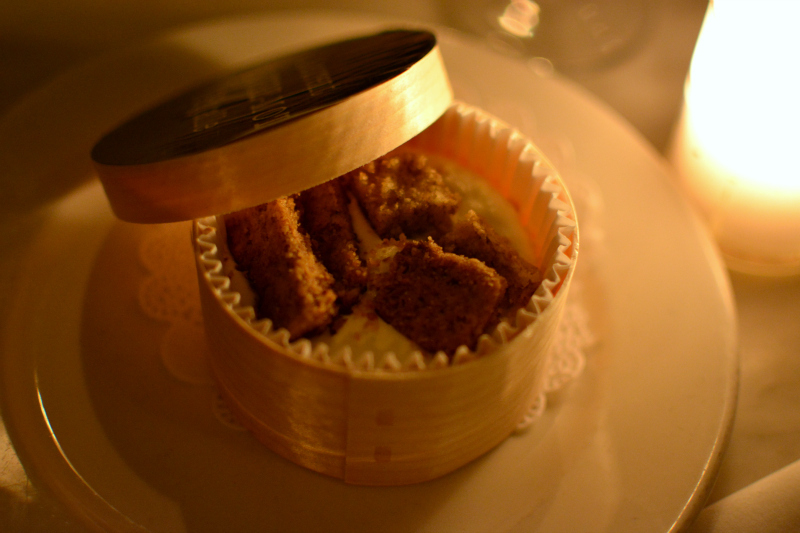 It was such a fantastic autumnal dessert! I absolutely loved it, and the girls had major food envy! We finished our meal and left feeling very very full! The bill wasn't too painful, my share came to around 45-50 euros, which included two courses, a cocktail, and service charge. The only bad thing we experienced was that Bella and Catherine #2 chose a wine, and the waitress brought them the more expensive version of the one they'd asked for. It wasn't a biggie and they didn't mind, but just something to bear in mind as the one given to them was about double the price - make sure you point to the exact one you want! 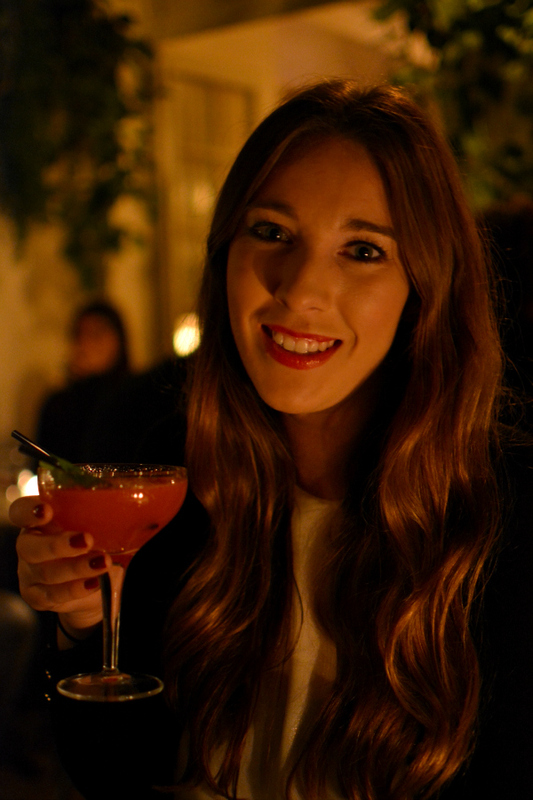 Overall we loved our evening at Hotel Amour, the restaurant was superb and felt like an oasis of fashion and luxury in the middle of Paris. 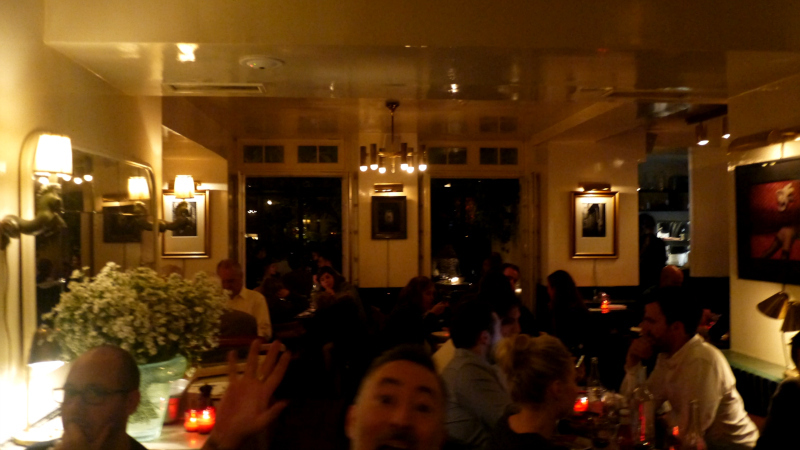 The food was brilliant, the atmosphere was electric, and it was worth every penny. 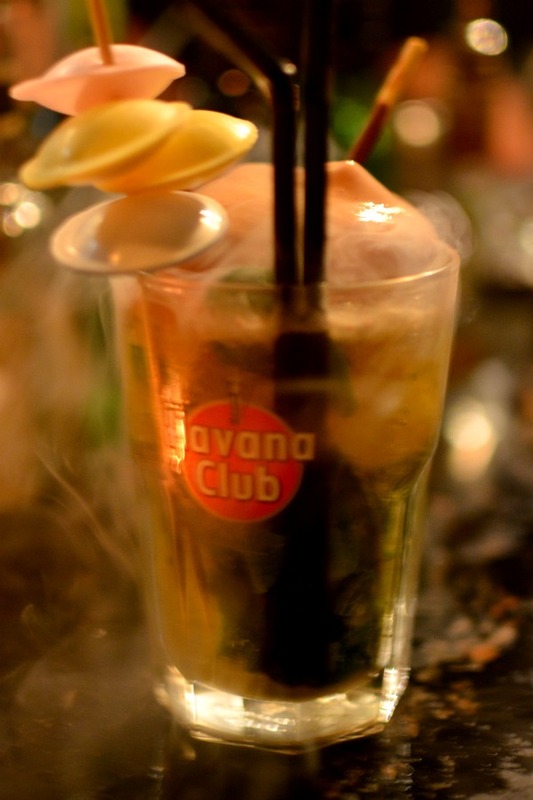 After our dinner we headed over to La Familie for their Liquid Nitrogen and candy flavoured Mojitos! 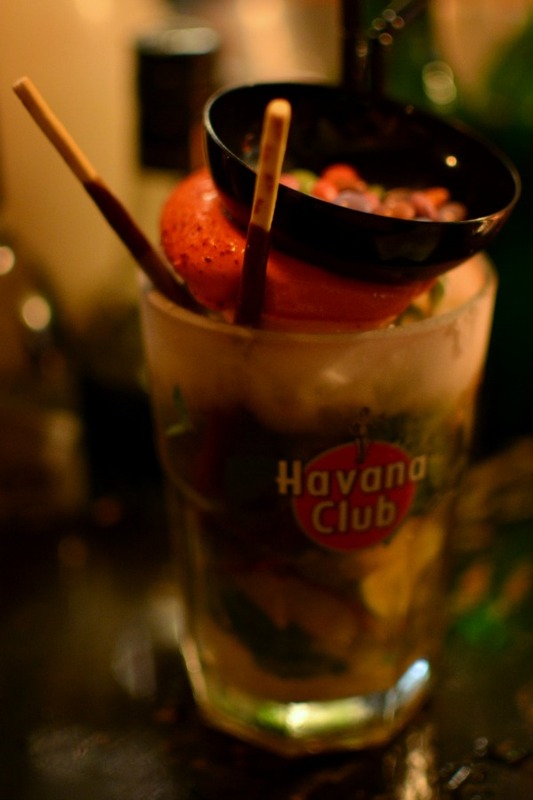 We spent a couple of hours sitting at the bar drinking cocktails and chair-dancing to the tunes that were blasting out of the music system (I got a video of this - coming soon! ), before stumbling back to the hotel on the last metro. It was brilliant. Thank you Paris, for always being so bloody awesome. Those fries look like perfection! It does look so gorgeous and sophisticated. 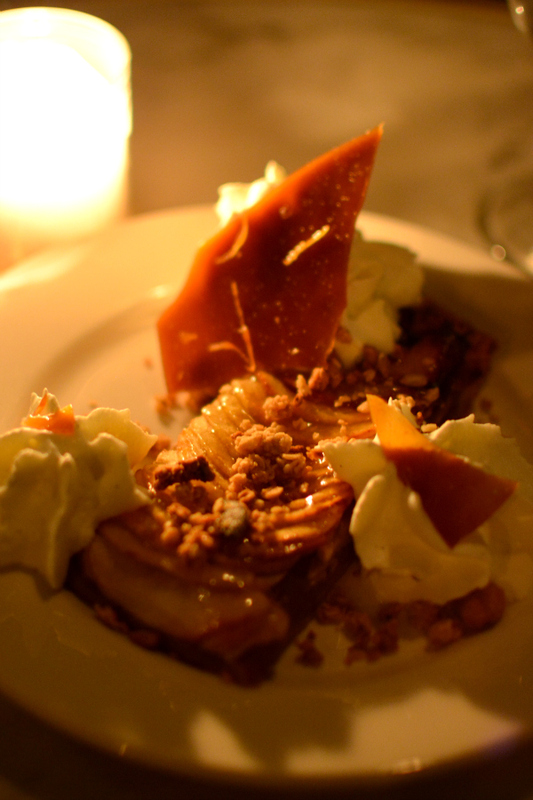 I love the look of your friend's steak tartare and your apple and caramel dessert. Ah gosh those desserts look absolutely divine! The cocktails and desserts look incredible!! !